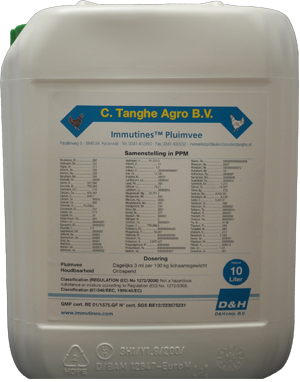 Immutines™ is a seawater concentrate with very low sodium, high concentrations of bioactive particles and a very high bio-activity. It is the dietary supplement based on Bering Sea waterconcentrate. It is a unique product. The rivers of the world, export each year, billions of tons of minerals and other elements off in the ocean. Substances of food soils disappear from the land into the sea. Submarine volcanoes, hot springs and volcanic eruptions on land, add here another billion tons to it. Besides finding the available mineral complexes, are in the sea immense amounts of fulvic acid. Defeciencies of vitamins and antioxidants may lead to various diseases, for example, whereby the growth and vitality can remain behind. The presence of vitamins and antioxidants can be favorable influenced by manage of these absorbable minerals. Immutines™ not only consists of seawater without the toxic sodium. It is a 100 percent natural minerals and trace elements complex, rich in include magnesium chloride and selenium. 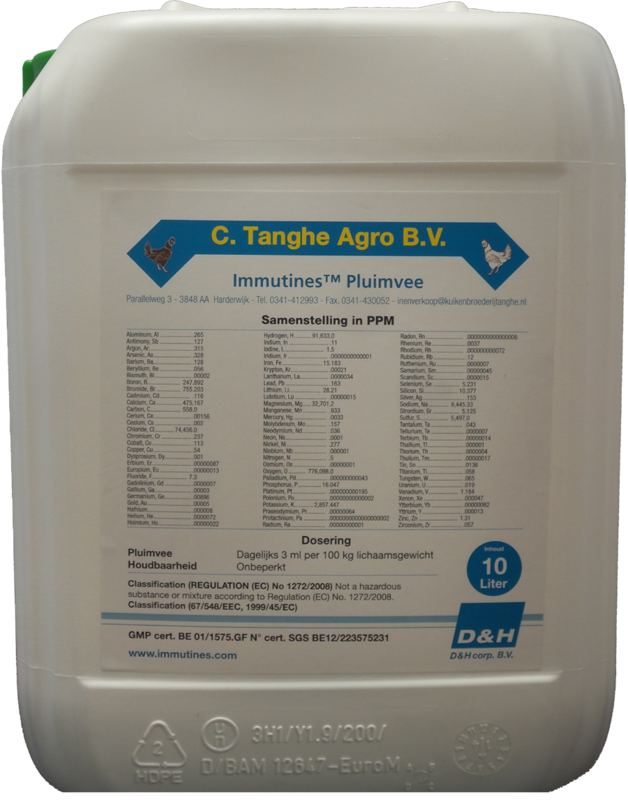 In addition, the fulvic acid in Immutines™ is a potpourri of pieces of bacterial cell membranes which contain, inter alia, RNA and DNA. The combination of natural elements with fulvic acid, Immutines™ is a product that is very interesting for the poultry. The macro and micro elements possess the key to human and animal health. They are required for all metabolic processes. It is, therefore, very much for the hand to present them as a supplement to the usual food. With Immutines™ is the natural resistance of your broiler optimal. This product has no artificial additives. It has positive effects include the intestines and feathering. As a result: higher yields! Healthy intestines and organs systems, which leads to a lower feed conversion.